I'm pleased with Call of Duty WW2, but the rough launch and average campaign marred what could have been an unparalleled addition to the Call of Duty franchise. As good as multiplayer is, I have to dock points for missing features and instability. However, if you're a fan of the series, this game will be a breath of fresh air, and as long as Sledgehammer tightens up the technical problems, it'll be a title that has the longevity that the last few titles haven't. 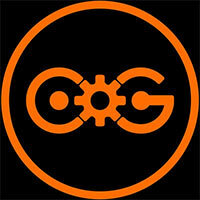 Overall what we have here is another Call of Duty, which means exactly what you think that means. Going back to basics will likely please the fanbase, which was vocally growing tired of the sci-fi stuff. The gameplay loops online are much less complicated, heading back to the “freeze tag with guns” and away from the more complex movement systems. The campaign feels like a greatest hits of Call of Duty moments, but falls short of standing out on its own, despite looking nice and being well-produced. Call of Duty WW2 is a return to form for the series. Sledgehammer Games and the other Call of Duty developers that contributed to this massive release have put together something really special here. The developers hammer home what made Call of Duty so great in previous years, while also adding a bunch of modern content and gameplay twists of their own. As far as Call of Duty games go, WW2 is an instant classic. Touching base with your origins is necessary to not lose touch with your audience, and that’s exactly what Call of Duty: WWII does without simply regressing. It gets to the core of its key modes and seizes on their intrinsic appeal with some neat, little twists thrown in. Call of Duty: WWII’s changes to the core Call of Duty experience are few but distinct. This leads to a good balance between relishing everything Call of Duty used to be and still continuing to move the series forward. 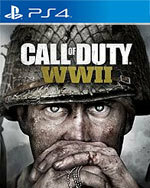 Call of Duty: WWII is a glorious and triumphant return to the series that delivers a stellar experience across the board via a high-quality campaign and an ingenious and riveting multiplayer despite a number of technical hiccups. Occasionally I was met with zombie melee ranges that felt unfair, or I would get stuck on bits of the environment that it didn’t feel like I should get stuck on, leading to some good runs abruptly ending. It’s hard to say if these are issues with the game or just me being bad at Nazi Zombies, but when more players get their hands on it, Sledgehammer can listen to complaints from players and address them if it is an issue. Some people think it’s trite and repetitive to hear all this talk about history and sacrifice. But I look around at the world today — which still has people who espouse the Nazi ideology — and I feel like we still need to learn. The bad news is that this is the blandest campaign the series has churned out in years and despite all of Activision's big talk about "boots on the ground" action and how this was going to be some big deal, the setting change didn't bring any new and exciting inspiration with it. This feels like the most wheel-spinning, by-the-numbers Call of Duty they've made thus far. 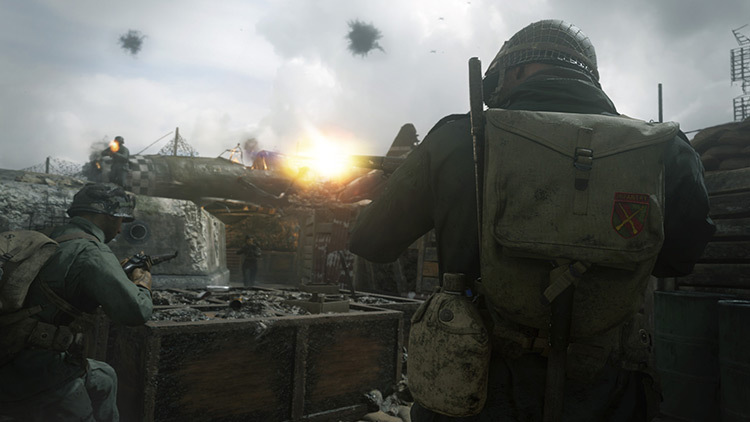 Call of Duty: WWII will be fascinating to study from a business standpoint: will consumers embrace the product they have long been clamoring for and how will Activision handle its business strategy moving forward? Will they dive exclusively back into World War II until gamers tire of it again or cycle between different eras from here on out? Whatever happens, there’s a fantastic game at the center of this future case study that proves that no matter the ballyhoo, Activision will ensure a superb experience is delivered. COD has a few issues in single player this year but the overall package delivers another good shooter with plenty to do and some neat new online ideas. A derivative, middling campaign, good multiplayer, and a ton of content means that Call of Duty: WWII is more Call of Duty - for better and worse. 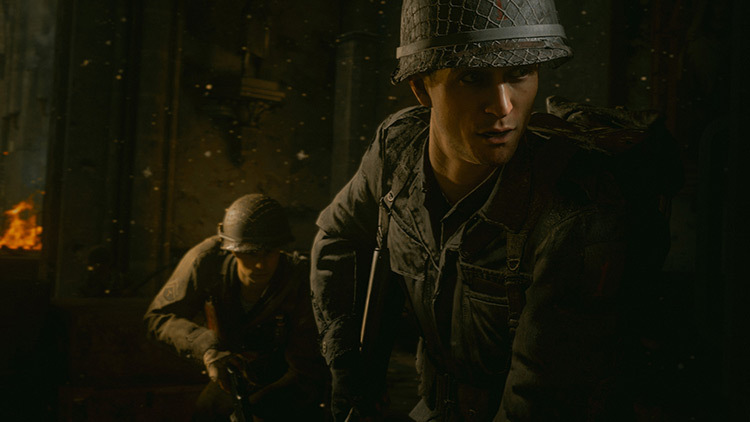 While the campaign fails to provide a compelling tale and is often bogged down in uninteresting large-scale slaughter, Call of Duty:WWII nails its multiplayer, new social hub, and zombie modes to provide the back to boot-on-the-ground experience fans have clamored for since the first foray into space. 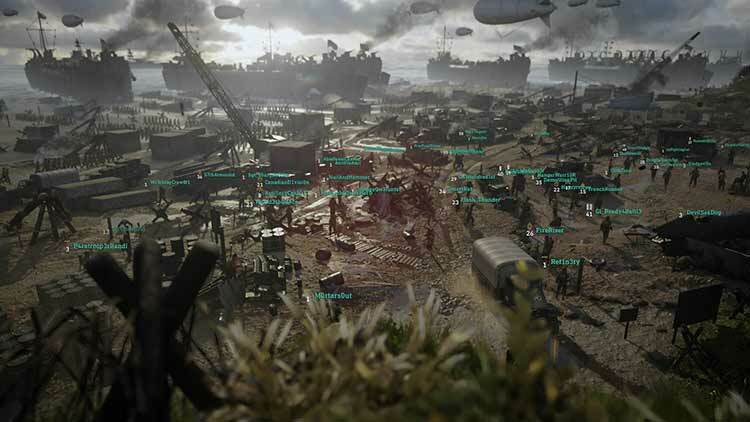 Ultimately, if every shooter set in the European Theater of World War II is measured by how it depicts its D-Day landing--assuming it has such a mission--Call of Duty: WWII emphatically succeeds in its impactful designs and delivery. The sensation of riding the troop carrier as it approached the beach filled me with depression more than dread, knowing I'd survive eventually while many of my surrounding brothers in arms wouldn't. And therein lies the issue that seems to extend throughout Call of Duty: WWII and the franchise at large. There’s a distinct sense that changing the formula is just too risky for such a major property, which leaves Call of Duty in an enjoyable but unremarkable rut. When looking at the big picture, Call of Duty: WWII is absolutely a fun time. With a multiplayer that includes a ton of unlocks and a new social hub, as well as a zombies mode that features some incredibly intense moments, players could easily get lost spending hours upon hours playing with other people. Aside from the unfortunately short campaign with flat and boring characters, I believe Sledgehammer Games succeeded in bringing the series back to where it started, while at the same time putting their own spin on the Call of Duty franchise to make it relevant for the newer audience. The multiplayer mostly felt like a miss this year as well, but War mode was so good that I can see myself diving back into it for a while to come. Finally, zombies are back, and I can see it being a fun mode for those who liked it before but I still find myself mostly not a fan of this mode. By the time I was done with WWII I came away disappointed. This is still a good game overall, but it’s a noticeable step back from Infinite Warfare. Sledgehammer Games have put a lot of effort into saving the franchise, and WWII really does makes huge steps in order to try and regain the prestige that the franchise has to offer. Although it would have been nice to see a longer campaign and to be able to play longer than ten minutes online, if you like your war games, then I would seriously recommend adding Call of Duty WWII to your collection. It’s been 10-years since the series has been to World War II and the return is glorious. With a brutally engrossing and punishing, albeit short, single-player campaign and a stripped down multiplayer that remains as tight as ever, Call of Duty WWII gets back to the things that put the franchise on the map. It’s time to reunite the squad with confidence. Three years ago, Sledgehammer took a bold step forward with Advanced Warfare. Now, in 2017, it’s taken a bold step back. Despite some interesting additions like Headquarters and War, Call of Duty: WWII is arguably the most reserved entry we’ve had in years, but is already proving a hit among fans. There is still that sense of fatigue, however, and if Call of Duty is to soar to the top once again, Treyarch and Infinity Ward will need to change something more than the time period in the coming years. As you battle on through iconic German cities such as Aachen, through the French forest of Ardennes, and on to the Rhine in the heart of Germany, the story continues to get better. Daniels and best pal Zussman's bond becomes stronger, as they encounter numerous setbacks to the mission and the squad. "Inspired by true events" really applies here, as it's clear how Sledgehammer took on board the advice from World War II survivors. Narrative wise, this is the best Call of Duty campaign to date. If you’re a die-hard Call Of Duty fan you probably pre-ordered WWII months back and need no convincing, but if like me, you’ve become a bit jaded towards the franchise it’s worth giving this latest instalment a try. With an addictive, fully-featured multiplayer suite, one of the finest campaigns the franchise has seen in years, and a fresh, revitalised Zombies mode, Call of Duty: WWII is an absolute blast that boldly goes where no modern Call of Duty has gone before: back to its World War roots. And it’s about bloody time. 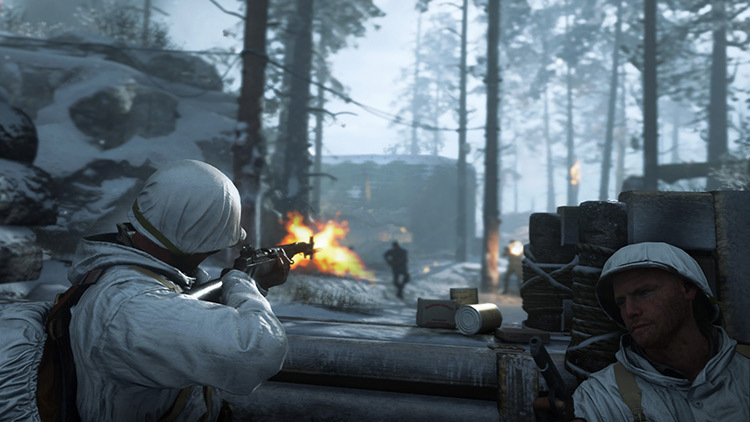 Call Of Duty: WWII doesn’t surprise in any way – the campaign not being daring and falling back on FPS tropes we’d had enough of the last time COD was in World War II doesn’t surprise. Multiplayer offering a mix of solid highs and bewildering lows doesn’t surprise. Loot boxes littering your headquarters don’t surprise. There’s a lot of well-produced content packed inside Call of Duty WWII’s bunker, but very little of it is exciting, engaging, or original. The World War II setting papers the cracks, but constant mixed messaging about that historical conflict reveals the game for a gimmick. 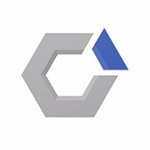 Yes, it’s another Call of Duty, but it’s a Call of Duty by a rock-solid team who care about quality and stamping themselves as a premier Triple-A developer in a very crowded space. Another great Holiday release to add to your (likely) growing pile. Un "shooter" bélico que apuesta por una ambientación más realista, e interesantes mejoras en el multijugador, pero también supone un paso atrás en algunas mecánicas, como el uso de botiquines. Espectacular, divertido y cargado de contenido. Quizá este año la saga recupere adeptos al haber dejado de lado las guerras del futuro, pero debajo de su superficie seguimos viendo los mismos aciertos y fallos de los últimos años, y tenemos que exigirle un poco más a un producto tan importante como este, que llegó a ser el faro que guiaba a todos los juegos de acción en primera persona. Si eres fan de la saga seguro que ya lo tienes dentro de tus prioridades. En caso de que seas detractor o nunca te haya llamado la atención, te aseguro que este título no hará que tu opinión cambie de ninguna forma. Call of Duty: WWII da a los aficionados lo que deseaban, y eso puede parecer negativo algunas veces para la libertad creativa pero aquí resulta tremendamente efectivo. Poner de acuerdo sueños y aspiraciones siempre es complicado para una saga asentada, y Sledgehammer Games no arriesga en su apuesta por la Segunda Guerra Mundial. Sledgehammer Games ha hecho los deberes tras Advanced Warfare. Call of Duty: WWII estaba en el punto de mira de propios y extraños por su arriesgada apuesta de retornar a las raíces de la serie en múltiples aspectos. Goza de buenas ideas, y, por suerte, tiene más luces que sombras. Si eres fan de los juegos de la Segunda Guerra o de Call of Duty en general, éste es un título que debes jugar, pues encontrarás misiones divertidas con tanques, aviones y demás armamento de la época. Pero si Call of Duty no es lo tuyo, ya te aburrió o si los conflictos de Europa a mediados de los años 40 no te interesan mucho, definitivamente es un juego que te puedes saltar. Die Kampagne von Call of Duty: WW2 wird zwar durch die Hauptcharaktere sehr persönlich erzählt, ist aber gleichzeitig auch der schwächste Bestandteil im neuen, alten Setting. Die Geschichte ist bombastisch inszeniert, mit vielen nötigen Ecken und Kanten und vor allem für ein Unterhaltungsprodukt wie Call of Duty mit grobem, historisch-korrekten Verlauf passend. Ce Call of Duty : WW2 est une vraie réussite. 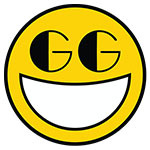 Il parvient à nous servir un solo de grande qualité, ni manichéen, ni fade, auréolé d'améliorations significatives en matière de gameplay et de mise en scène. Fidèles au postes, la nuée de modes de jeu "classiques" fait le travail sans trop chercher à changer l'expérience "boots on the ground" que procurait jadis le multi de CoD. 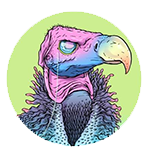 Le bestiaire est varié, et comme toujours, une véritable course à l'armement s'engage entre les joueurs et les ennemis, qui deviennent de plus en plus redoutables à chaque vague. Ce nouveau mode zombie nous a réellement tapé dans l'œil, particulièrement grâce à son ambiance pesante qui est un excellent moteur à la cohésion de groupe. Un must pour les amateurs de jeu en coopération. Call of Duty WWII est une vraie réussite et son retour aux sources ne peut être qu'acclamé. Il jouit d'une campagne solo de grande qualité, aussi émotionnelle et narrative que fun en termes de mécaniques de jeu. La représentation du Débarquement qui y est faite ne peut que prendre le joueur aux tripes, et cette grande épopée humaine qu'est la Seconde Guerre Mondiale est vraiment dignement représentée. Call of Duty: WWII assume-se como um regresso ao passado há muito desejado pelos fãs. Graficamente deslumbrante e tecnicamente quase sem falhas, entrega-nos uma campanha pessoal, sem grandes riscos e bastante linear (não chega aos calcanhares de World at War). O modo Zombies revela-se uma agradável surpresa, ainda que a fórmula não seja nova, com um bom enredo e preocupação com os protagonistas, tal como o multijogador, que deixa de lado os saltos loucos para levar o confronto para o solo, revolucionando o que há muito vinha sendo um réplica anual. Call of Duty: WWII è un gioco che ha saputo soddisfarci e divertirci. Abbiamo avuto la possibilità di esplorarlo in ogni suo centimetro e quello che abbiamo trovato è un titolo solido, divertente e curato. Una campagna single player soddisfacente, che nonostante alcuni evidenti difetti rappresenta un'ottima esperienza, scenograficamente rocambolesca e ludicamente varia; il multiplayer sfiora la perfezione e Nazi Zombies riesce a reinventare una formula che, almeno nel look, stava iniziando ad annoiare. Call of Duty: WWII fa tutto quello che deve fare un COD, e lo fa bene. La campagna riesce a intrattenere per una durata tutto sommato sufficiente con un ritmo sempre elevato ed è dotata di una varietà talmente elevata di situazioni e di cose da fare che ci permette di chiudere un occhio sulle piccole imperfezioni tecniche e i problemi dell'intelligenza artificiale. Il tanto atteso e chiacchierato ritorno alla seconda guerra mondiale ha fatto bene a Call of Duty. Con WWII Activision e Sledgehammer Games non reinventano la ruota e tantomeno rivoluzionano una serie che, per più di un motivo, continua a rimanere assolutamente fedele a se stessa… Ma riescono comunque a migliorare le varie modalità e le tante risorse sotto praticamente ogni aspetto. Авторы Call of Duty: WWII обещали «вернуться к корням» и сдержали слово. Впрочем, это далеко не главное их достижение. Куда важнее, что они впервые в серии решили использовать декорации Второй мировой для того, чтобы всерьез поговорить об ужасах войны. У Call of Duty: WWII слишком громкое название, которое не совсем соответствует действительности. На деле эта игра куда скромнее, чем ожидаешь от шутера с таким подзаголовком. Тем не менее, если вы давно ждали возвращения сериала к «историческим» корням, то оно отчасти состоялось. Лучше бы Sledgehammer отказалась от зомби-режима, добавив в игру дополнительного главного героя. Лучше бы в базовой версии было больше мультиплеерных карт. Лучше бы Carentan (и, кстати, многие другие карты старых Call of Duty) была доступна всем. Таких «лучше бы» можно набрать очень много, но все-таки эта Call of Duty – лучшая Call of Duty как минимум на текущем поколении консолей. И просто хороший сетевой боевик с глуповатой, но яркой одиночной кампанией. 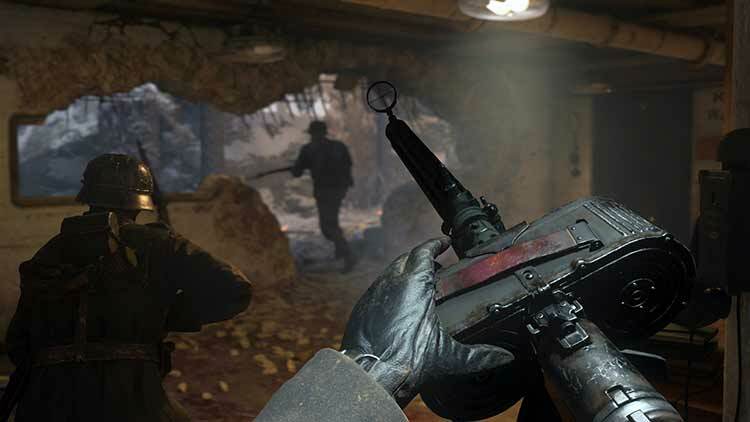 Uzun lafın kısası Call of Duty: WWII hikaye mod'u ile ortalama bir deneyim sunmayı başarsa da, birçoğumuzun oyunu satın alma sebebi olan çoklu oyuncu mod'u ile beklentilerimizin çok ama çok altında kalıyor. Call of Duty WW2 draait meer dan anders om samenwerken. Dat is iets wat je niet alleen in de singleplayer terugziet, maar ook in de multiplayer en in Nazi-zombies. War is een verfrissende game mode (ook al gaat dat ten koste van het aantal maps in de multiplayer), Headquarters een geweldige toevoeging met veel potentie en zombies is ouderwets griezelig puzzelen. Maar bovenal is Call of Duty WW2 weer 'boots on the ground' en een game waarin je weer lekker samen kan knallen. Powrót do korzeni zdecydowanie przysłużył się serii. Call of Duty WWII otrzymało fenomenalną kampanię, którą wspominać będę jeszcze przez wiele tygodni, a może nawet miesięcy. Tryb wieloosobowy został wzbogacony o świetny tryb Wojny, jednak jeśli rozgrywka wieloosobowa z poprzednich odsłon nie przypadła Wam do gustu, to nie znajdziecie tu niczego odkrywczego. Z Call of Duty: WWII spędziłem ponad 16 godzin, przechodząc wszystkie misje z kampanii fabularnej na normalnym poziomie trudności, nie spiesząc się i zaglądając na mapach w różne zakamarki. Sprawdziłem również wszystkie mapy i opcje gry wieloosobowej, zatrzymując się na dłużej w nowym trybie wojny, prawie udało mi się też ukończyć tryb zombie.